Carole J. Bufford returns to Crazy Coqs with her new show, ROAR! Music of the Roaring Twenties and Beyond, featuring classics from the Jazz Age songbook made famous by the likes of Sophie Tucker, Al Jolson, Bessie Smith, Louis Armstrong, Helen Morgan, Annette Hanshaw, and more. Come join Carole as she travels back to a time where flappers, vamps and sheiks were shimmying in gin joints as a whirl of great social and political change happened all around them. A recipient of the Nightlife, Bistro and BroadwayWorld Awards for Outstanding Vocalist, Carole has become one of the most sought after young performers on the American jazz & cabaret scene. 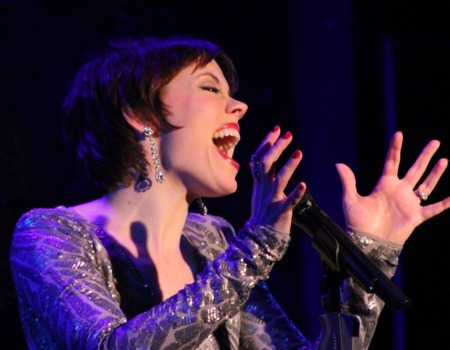 Carole recently enjoyed a highly praised 10 month solo run at New York's Birdland Jazz Club.